Bio: I came to Las Vegas from Michigan in 2005. A job opportunity brought me to Nevada. 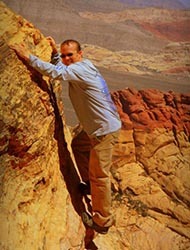 Upon arrival, I came to adore the mountains and land formations around Las Vegas. I started hiking as many trails as I could. I wanted to hike them all. 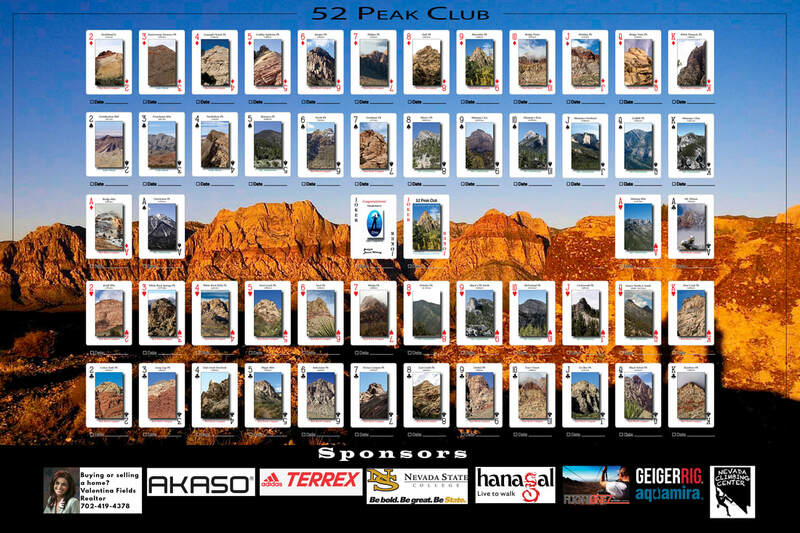 Why did you join the 52 Peak Club: I wanted to go on more hikes and exciting hikes. I found myself begging people to go with me and many times hiking alone. 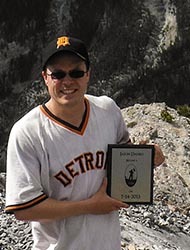 The 52 Peak Club brought me in contact with people who wanted to do the same hiking I craved. Toughest Peak: Bridge Mountain and Bridge Point via Fern Canyon. I wasn’t able to get to the second peak (Bridge Point). It was one of the first hikes I did with the group. I probably wasn’t ready for such a hike, but I was so excited to get the chance to see Bridge Mountain! My feet and toes learned I needed a better pair of hiking shoes and socks that day. Favorite Hike: There are so many! It wouldn’t be right to name one. Bridge Mountain, Rainbow Peak, Charleston Peak, White Pinnacle, Oak Peak, and the Sisters are favorites. How did you feel once you became a 53er: Very confident. I now have accomplished something that tested me physically and mentally over a long duration of time. Ready for the next challenge! Advice for new hikers: Listen and take all advice given to you by your fellow 52ers and 53ers. There are some fascinating and knowledgeable people in this group.